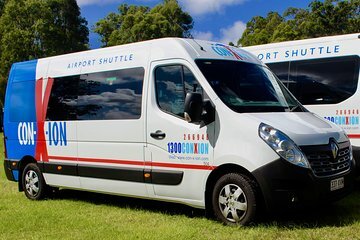 Travel round-trip with ease between accommodations in Brisbane or the Gold Coast and the Brisbane Airport (BNE) with a comfortable and efficient transfer service. By pre-booking this shared transfer service, you can enjoy your holiday or business trip without the worry of finding airport taxis upon arrival or departure. The service is available for all domestic and international flights, seven days per week. Your transfer will be confirmed instantly when you submit your booking online, it's that easy! When arriving at Brisbane Airport (BNE), your professional driver meets you at the arrivals area and takes you to your shared vehicle for transfer to your hotel in Brisbane CBD or Gold Coast CBD. Travel in a comfortable climate-controlled vehicle for an efficient transfer between your hotel and the airport. When departing from Brisbane or the Gold Coast, your driver picks you up at the door of your hotel and takes you to the airport with ample time to board your plane. To book your transfer between the Brisbane Airport and your hotel, simply provide your detailed flight (number and time) and hotel (name and address) reservation information during the booking process. Once you complete your online booking, you'll receive your confirmation and travel voucher instantly. Then simply present your voucher to your driver when you arrive. Travel stress-free with this easy and reliable Brisbane shared transfer service, available seven days per week for all flights. Very easy to get from Airport to our hotel and back again. BEWARE. This shuttle service does not do what they say they will. we had a written contact with them to drop off and pick us up at our apartment. I spent 5 days trying to reconfirm the return trip to the airport only to be told we had to travel 2 miles to another pick up location. when I explained this to them they didn't even bother to get back to me. we ended up taking Uber and were very happy with their service. I wouldn't recommend this shuttle service to anyone. The wait was not too long at the airport, the staff was helpful. If you book the return shuttle I would suggest you book the return at the airport it took me quite a few tries on the phone to get through the line was very busy had to hold. Great shuttle from airport to hotel but very slow on the return. We had less than an hour to book in before our flight left Brisbane. We had to be fast tracked though book in and sercurity so we did not miss the flight. I think conxions should take into consideration the airport booking in time when arranging pick ups. to know which company name to look for. Otherwise, roundtrip airport transfers were fine. The bus driver took us to the wrong hotel. He dropped us out on the corner as they are not allowed to pull up to the hotel. We walked to the hotel with all of our luggage. Once we got there they informed us it was the wrong one. Then we had to get a taxi to go to the correct one. We asked repeatedly if he knew which hotel and he would always answer yes. Arrival transfer was a little disappointing as I thought the driver/ guide would greet us at the Arrivals hall at Brisbane International Airport. This was not the case. You make your way to the Information Desk and they advise the time and departure point down the ramp outside. Bus was late and we were waiting approx. one hour. Apparently there is a timetable for ConnXion Buses which is not made available at time of booking. Return transfer from Hotel to Airport was good, no delays.